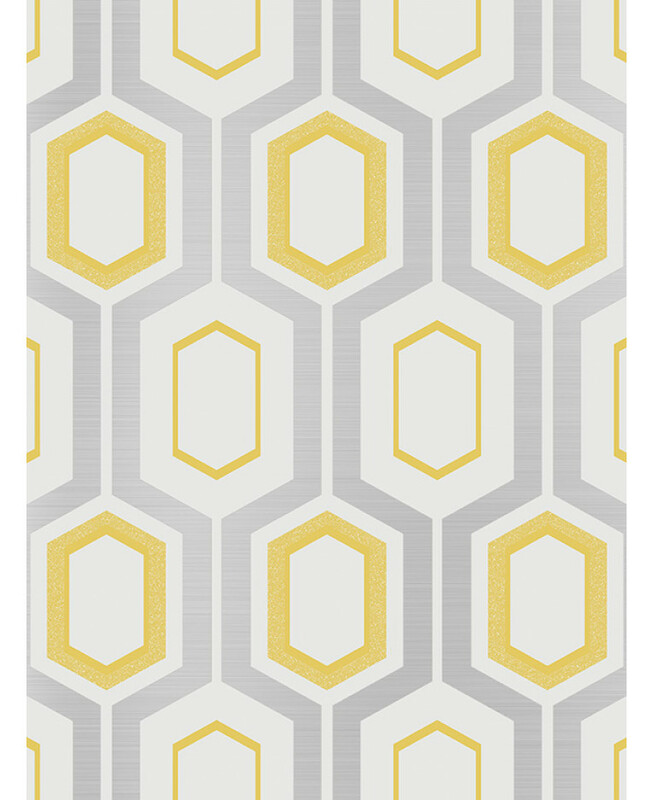 This stylish Mortimer Geometric wallpaper gives a modern twist to a retro inspired wallpaper. 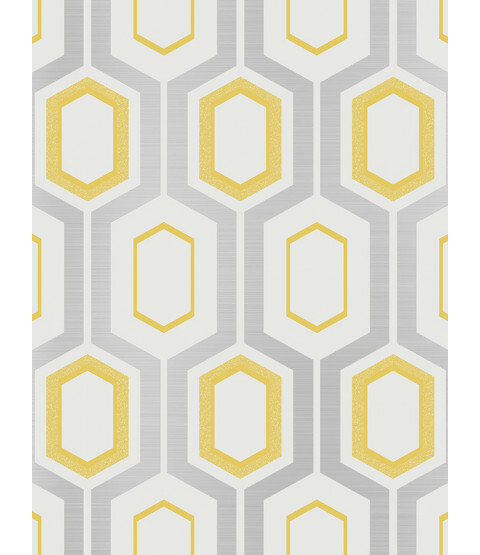 The design features a classic geometric pattern in complimentary tones of yellow, silver and white, with glitter, matte and metallic elements for a contemporary finish. 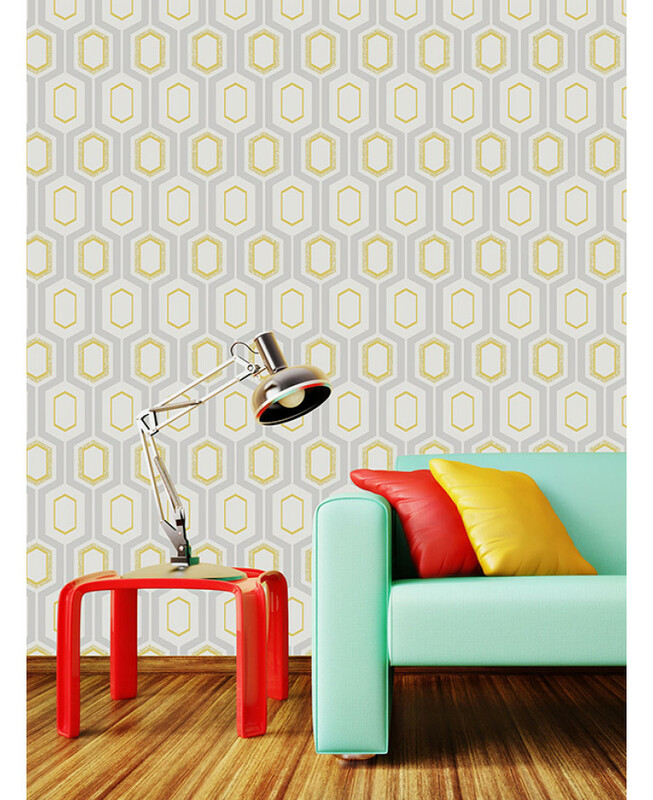 Easy to apply, this high quality vinyl wallpaper would make a great statement in your home when used for a feature wall or to decorate a whole room.